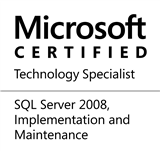 At the start of the year, I wrote about the SQL Server upgrade advisor. I was setting up my home test environment recently and this prompted me to write a couple of posts on SQL Server installation and cover some of the nice features which I believe are quite important. What this check does is to simply check if all files on the installer can be accessed by a path that is less than or equal to the 256-character normal limit on path names. Most product installers do not perform this check and the installation ultimately fails when one has an unusually long file path (such that the number of characters is greater than 256 characters). In my humble opinion, this is a great example of a check that all product installers must adopt to avoid installation failures for a reason as simple as a long path. This entry was posted in #SQLServer, Blog, Imported from BeyondRelational and tagged #SQLServer on April 11, 2013 by nakulvachhrajani.